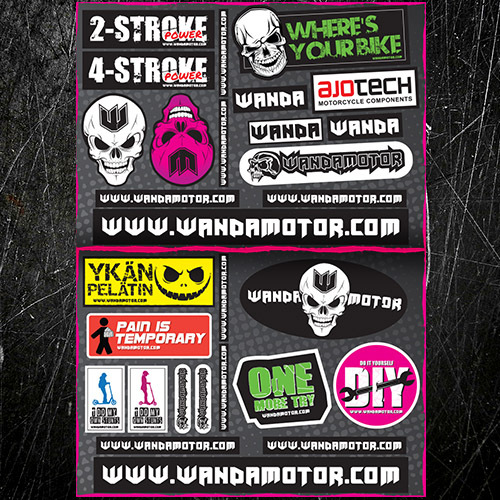 Unique Wandamotor Sponsor kit sticker sheet for vehicles, helmets and other targets. The kit contains two A4 sheets with several high quality weatherproof stickers. The stickers are not for sale, instead we give them for free with every order!